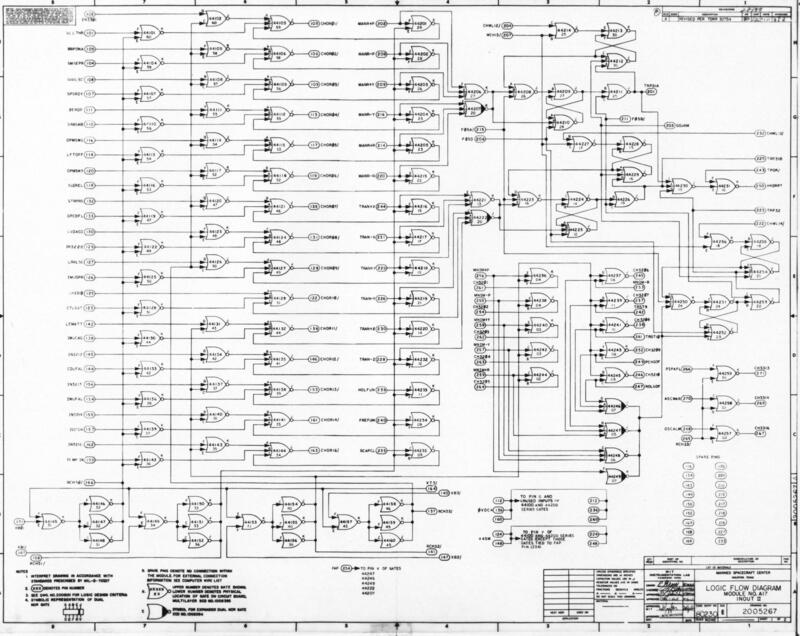 The sub-assembly hierarchy of AGC p/n 2003993-031 is listed below. 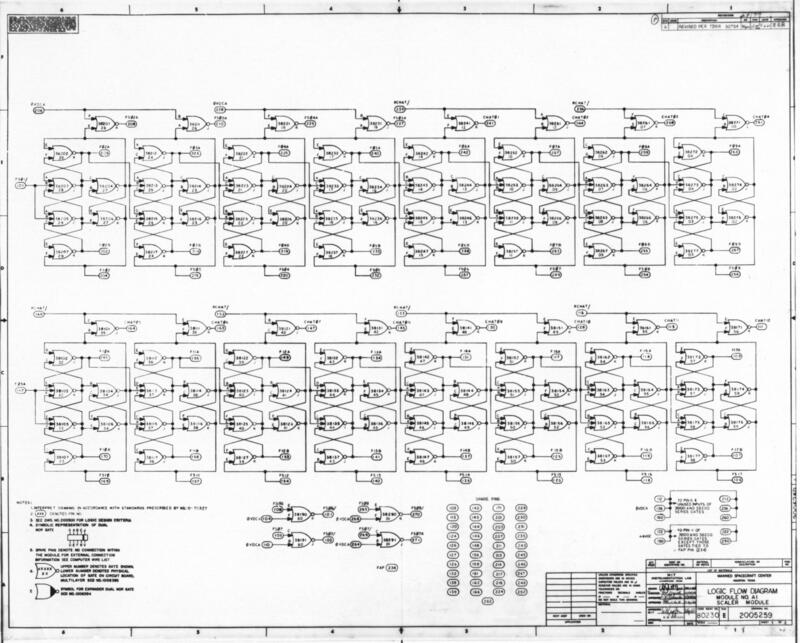 Minor sub-assemblies and individual components that appear in the drawings but are not listed below may appear in our master engineering-drawing index. 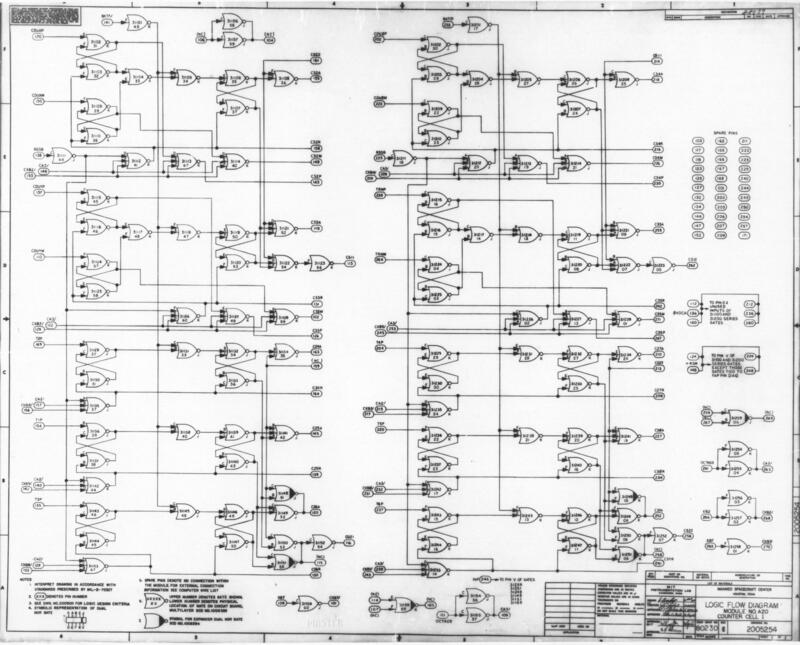 Note: We do not presently have a copy of any revision of drawing 2003888. 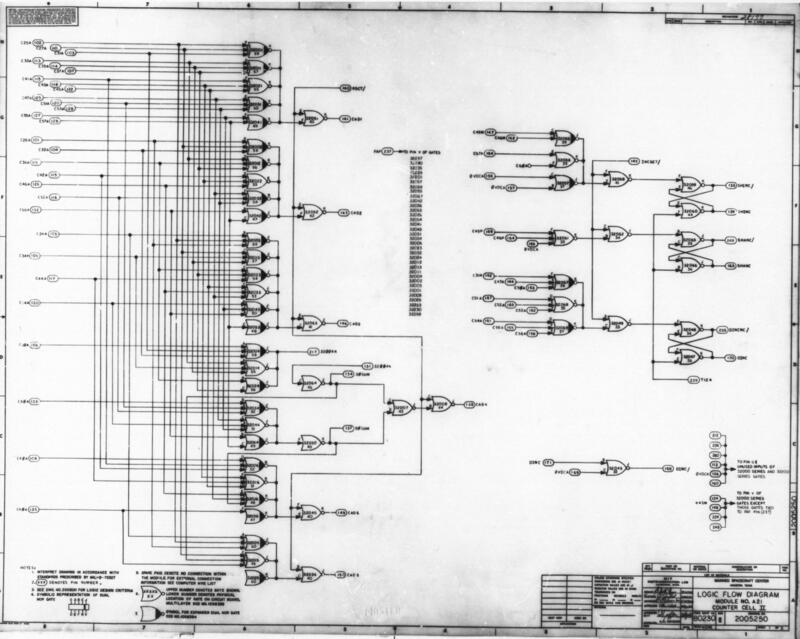 However, it is thought from indirect evidence that at some point in the 2003888 drawing tree, drawing 1006395 is called out. 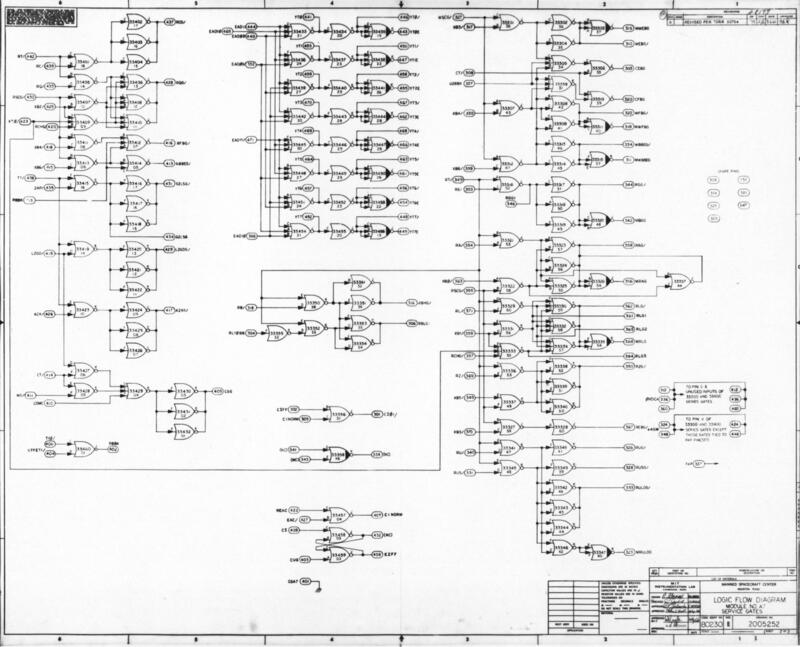 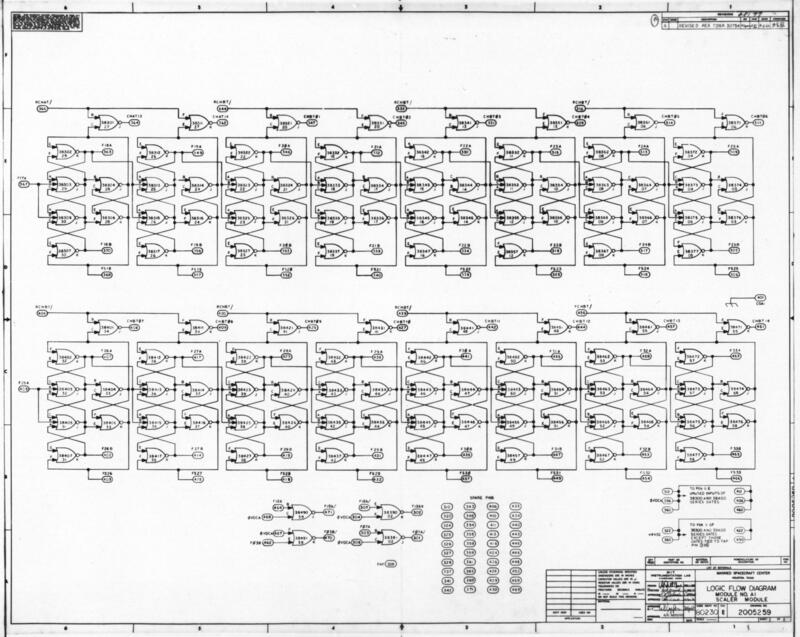 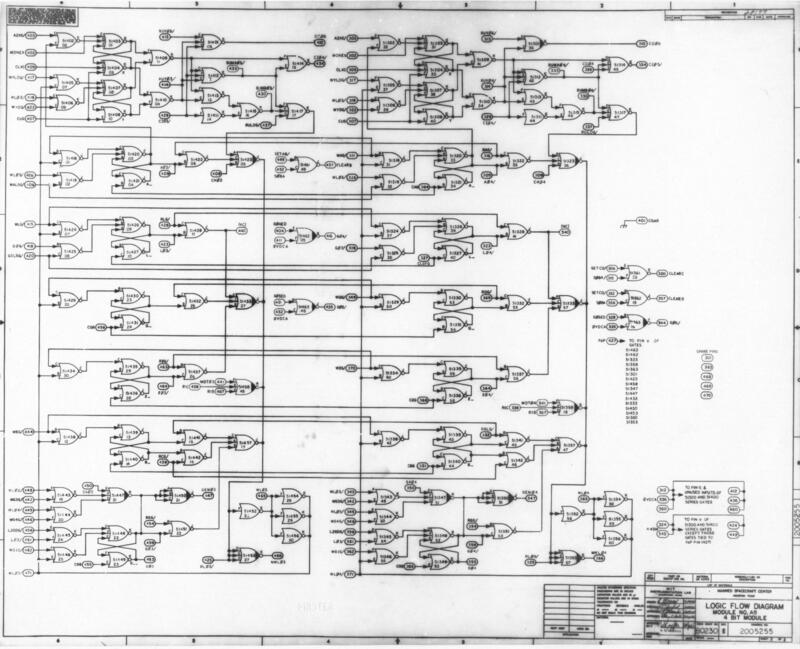 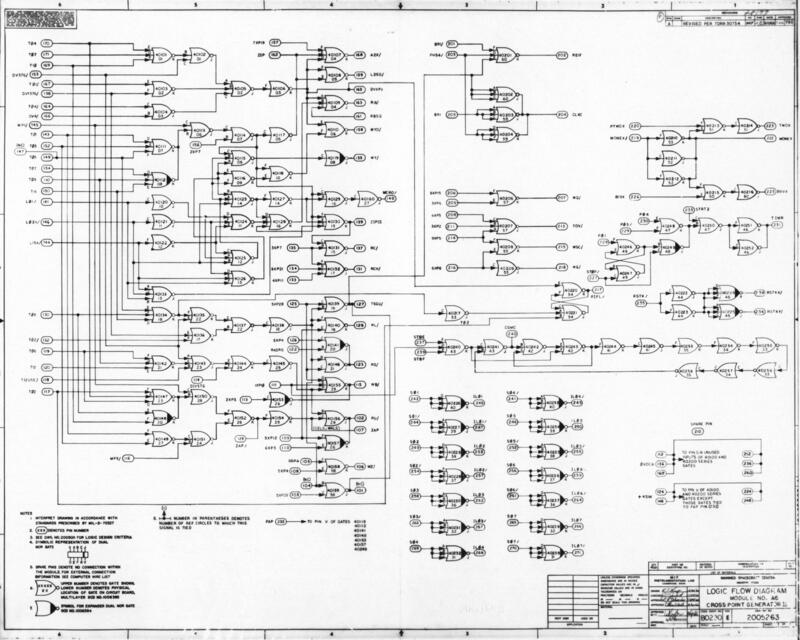 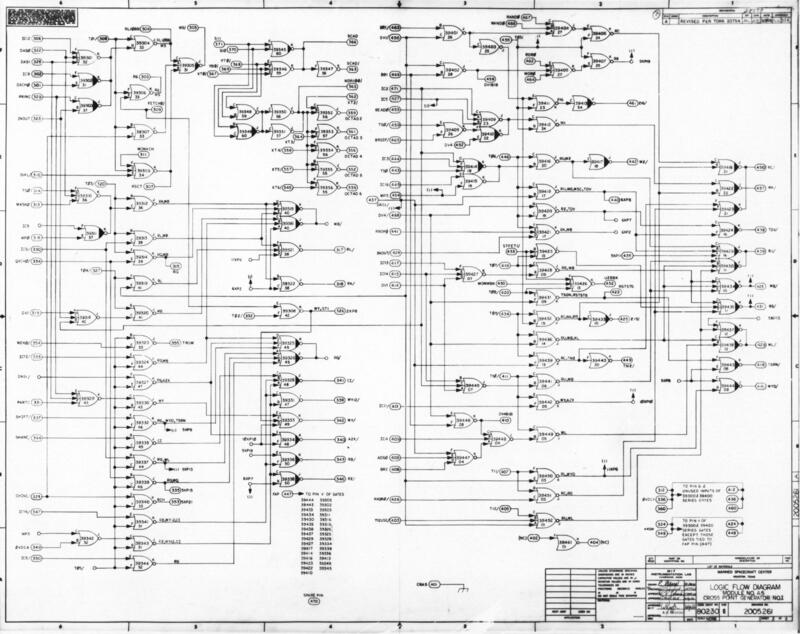 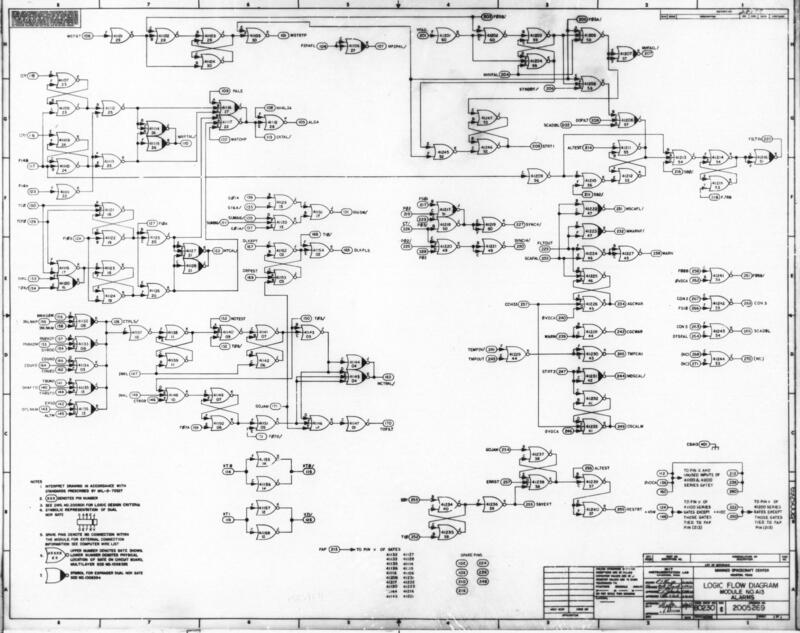 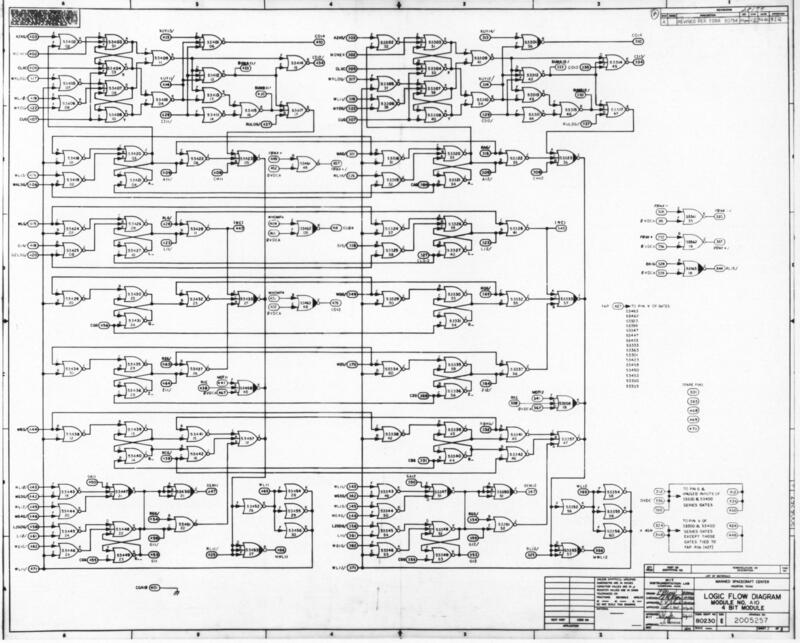 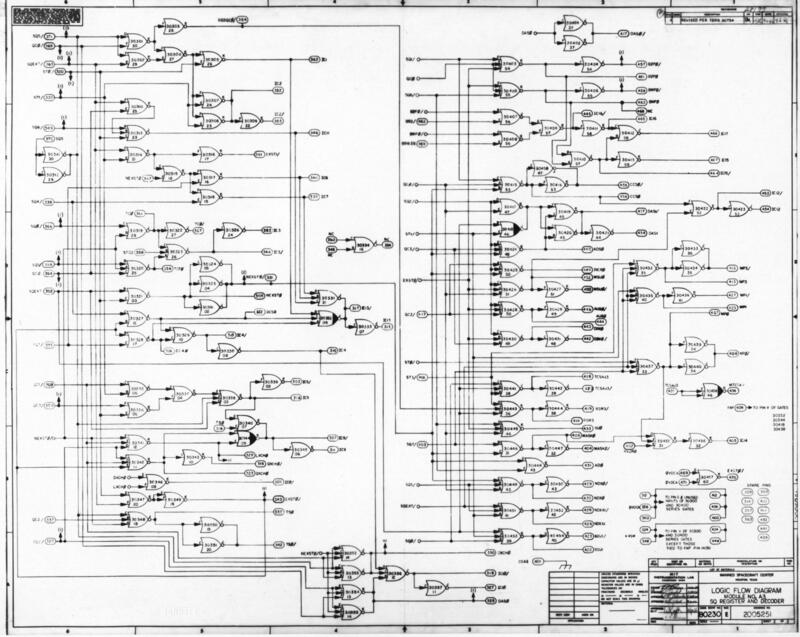 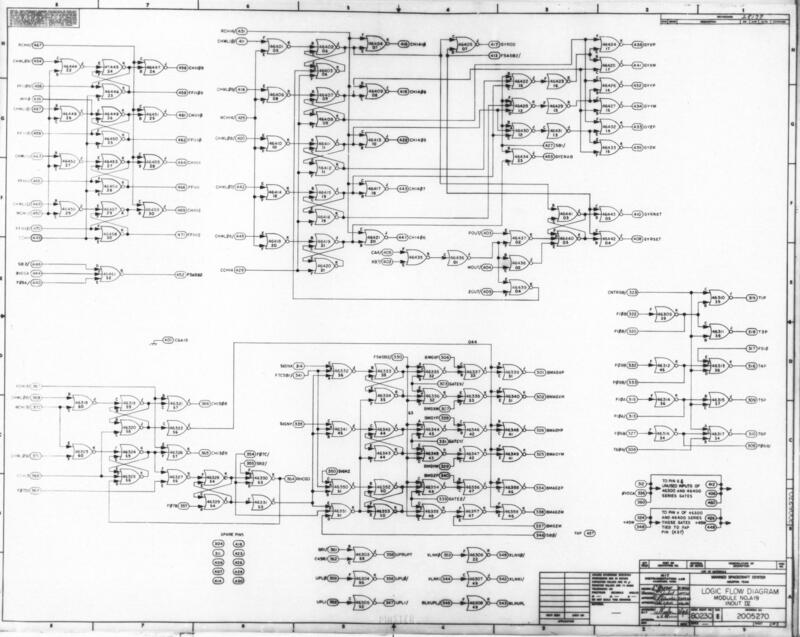 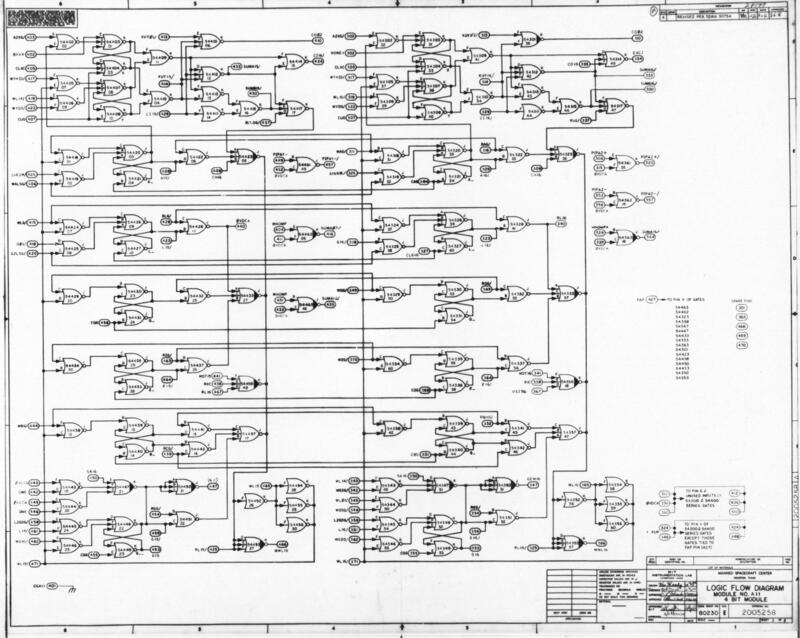 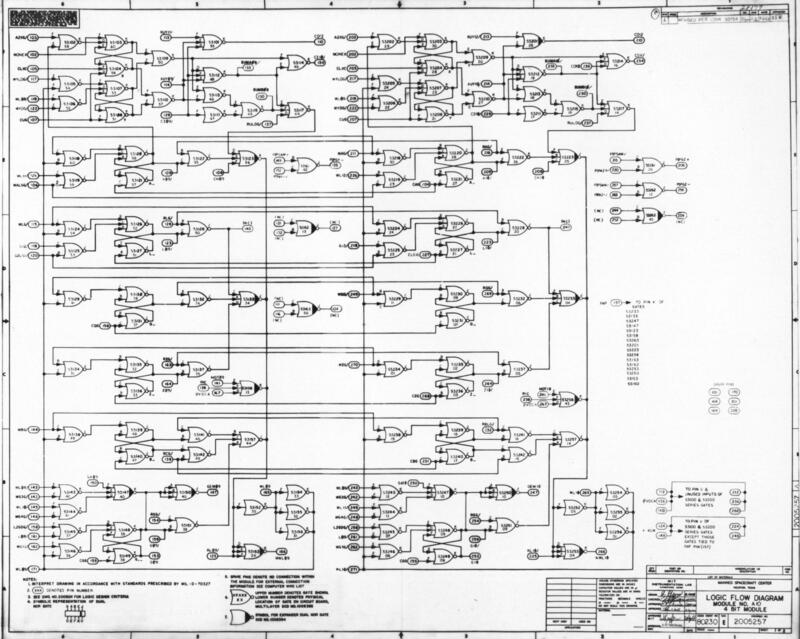 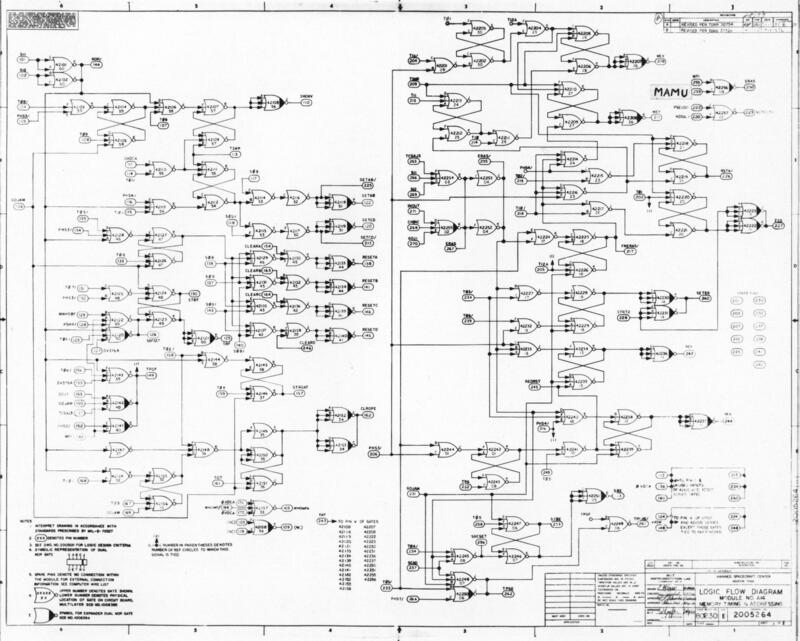 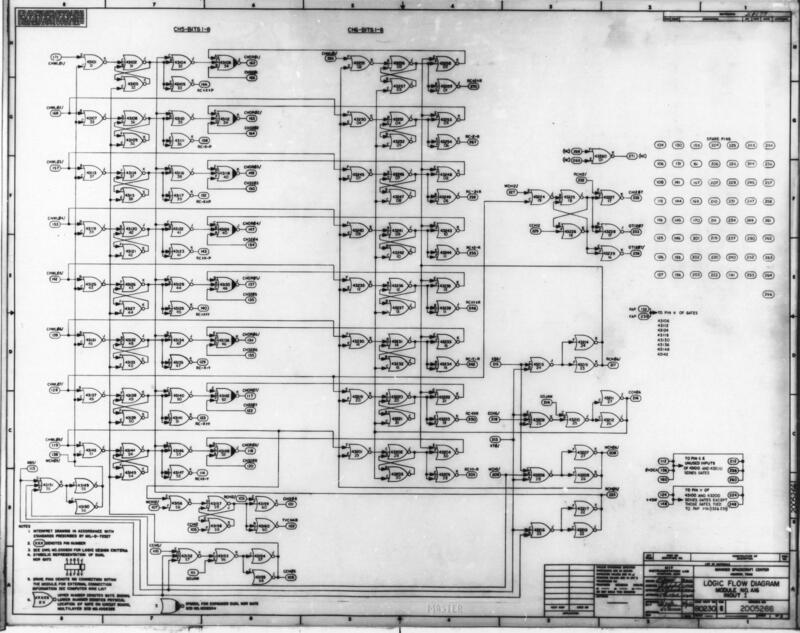 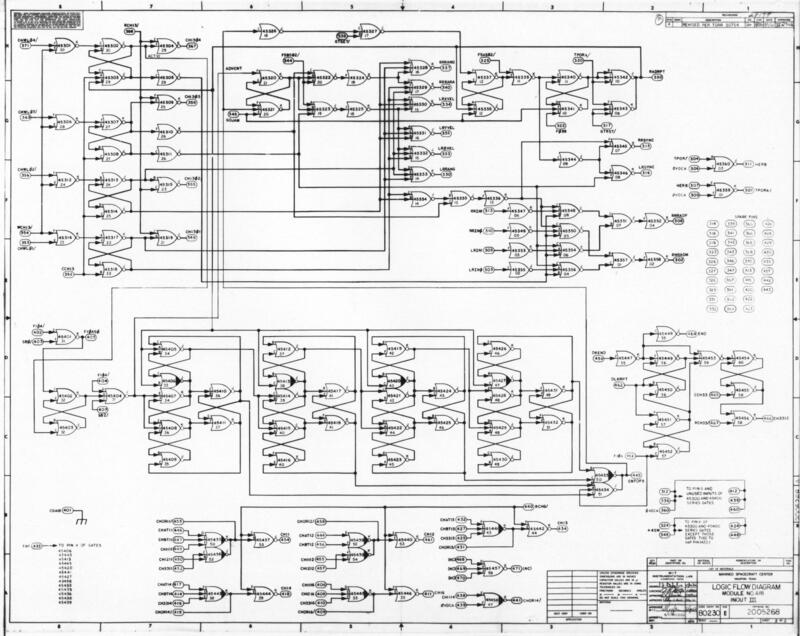 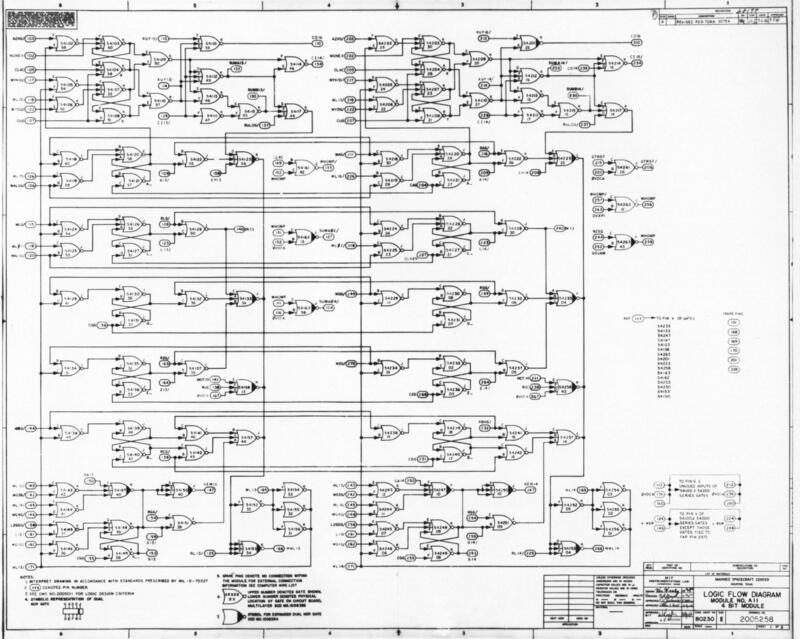 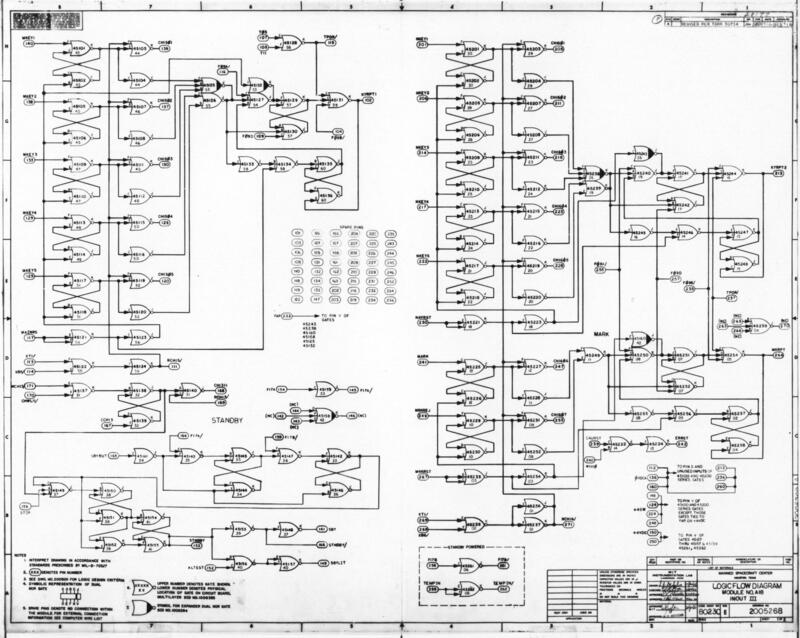 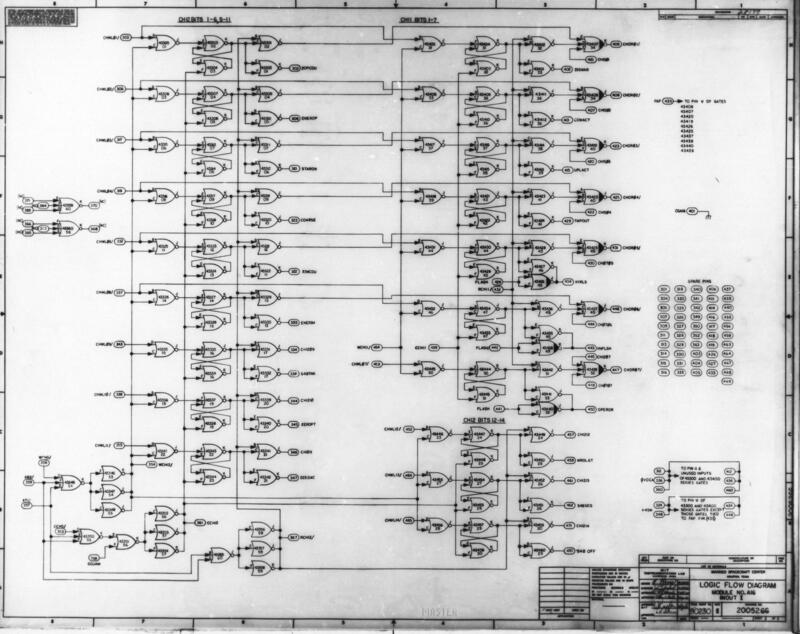 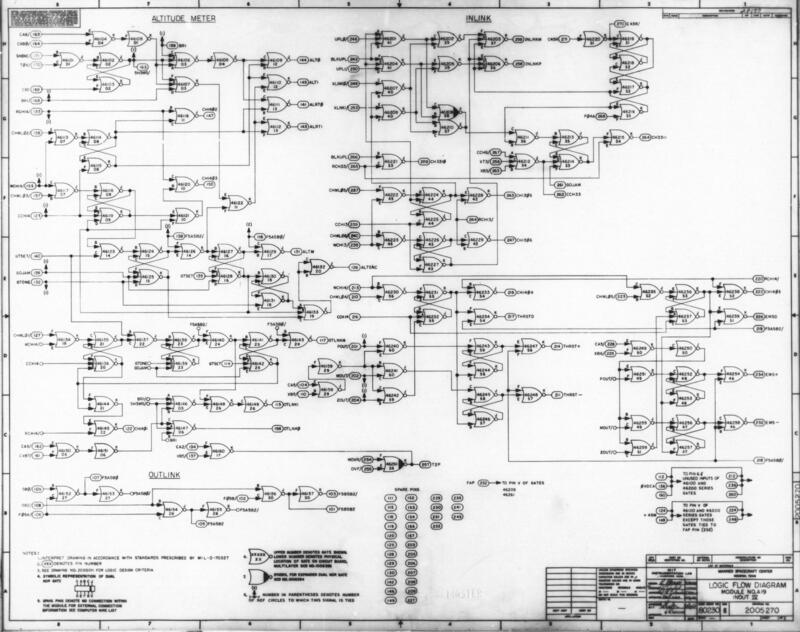 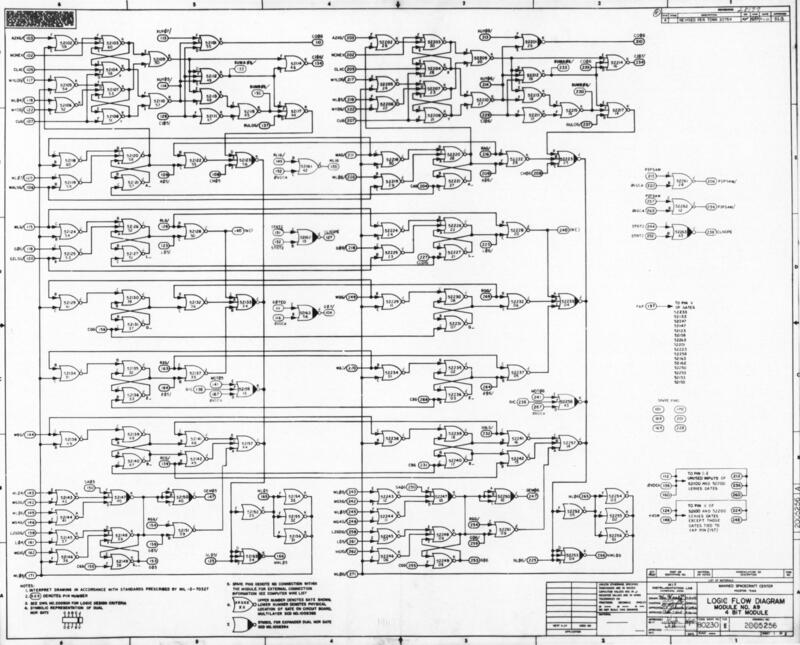 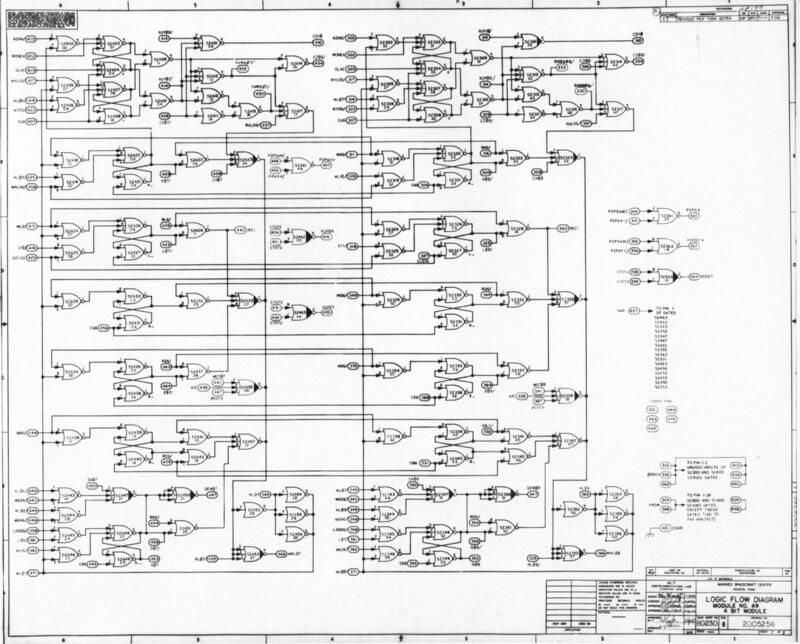 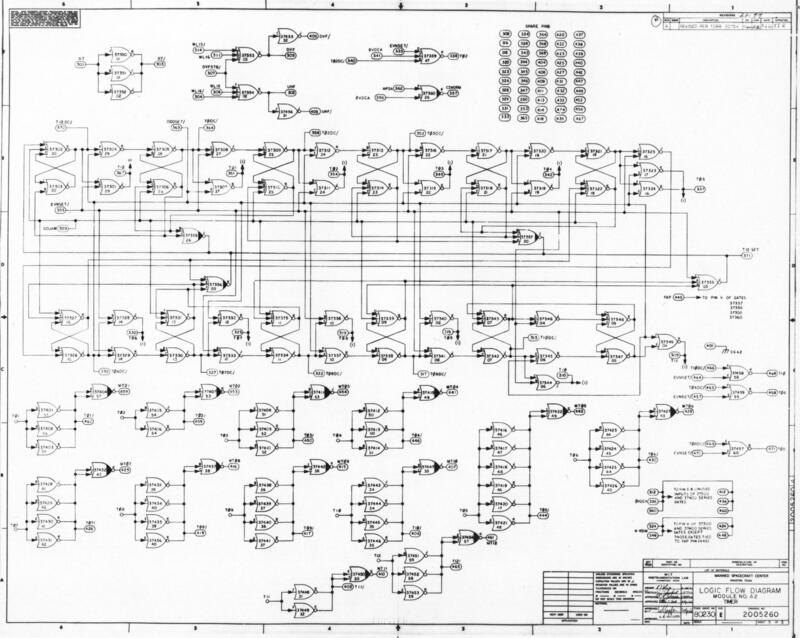 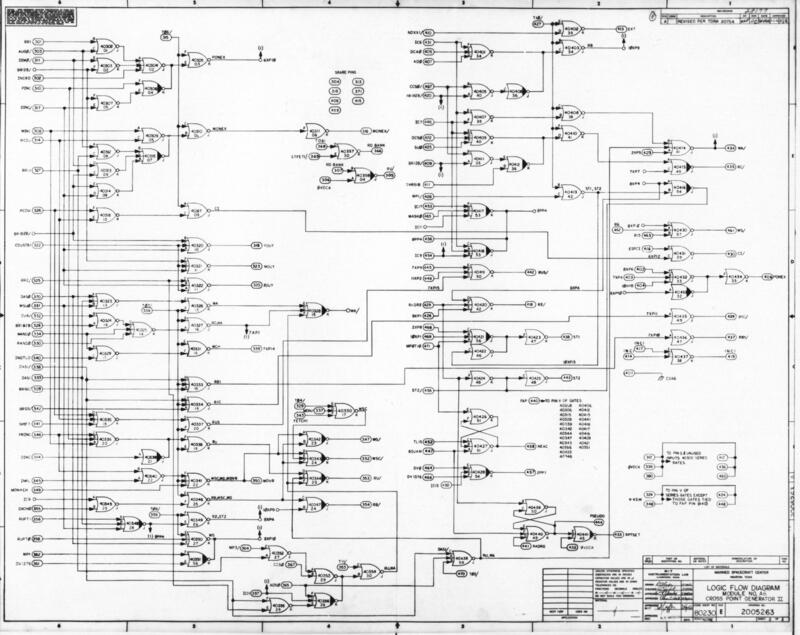 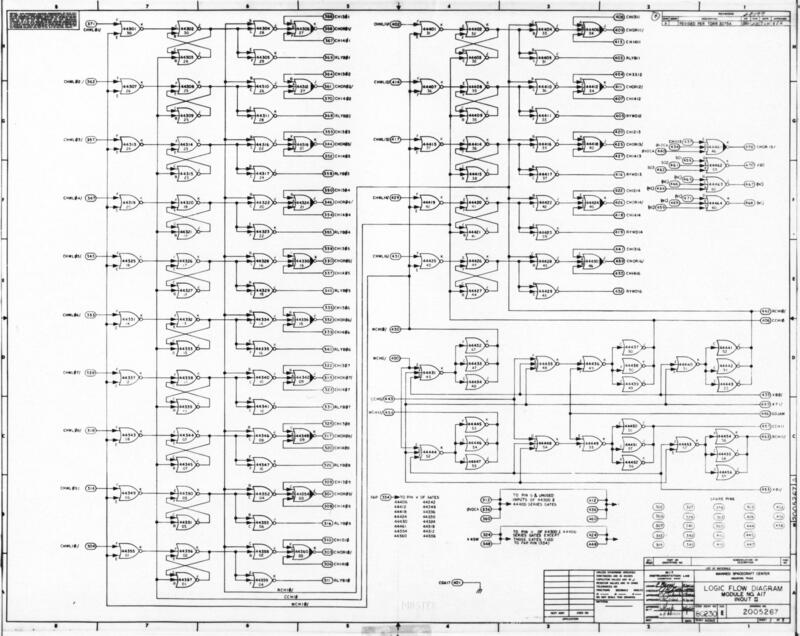 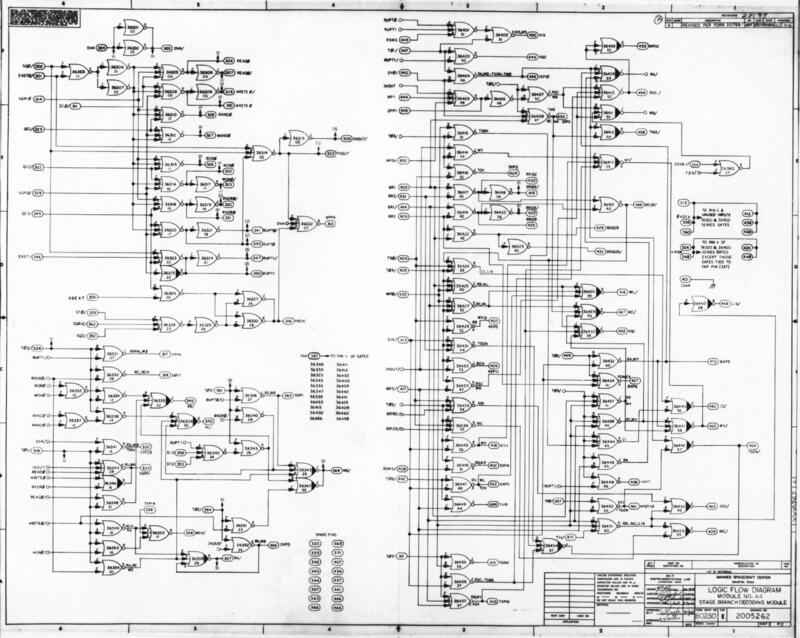 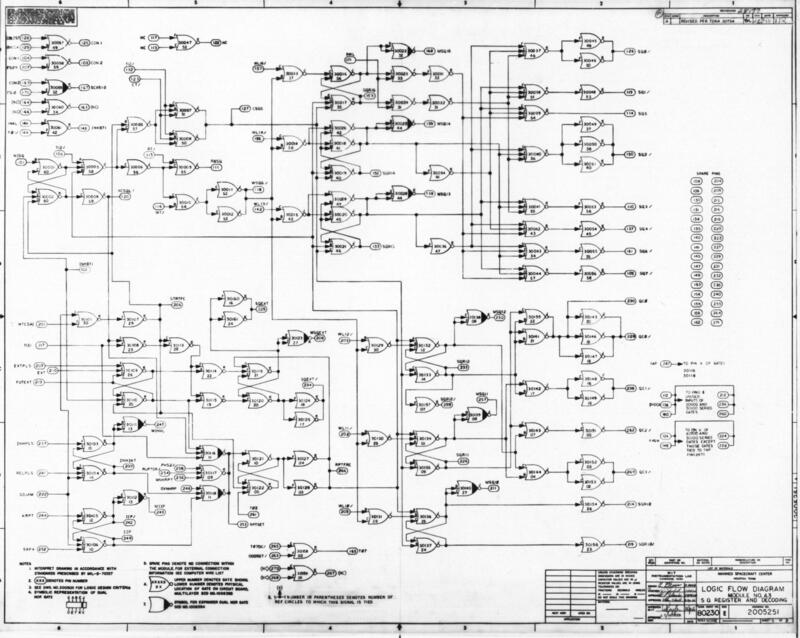 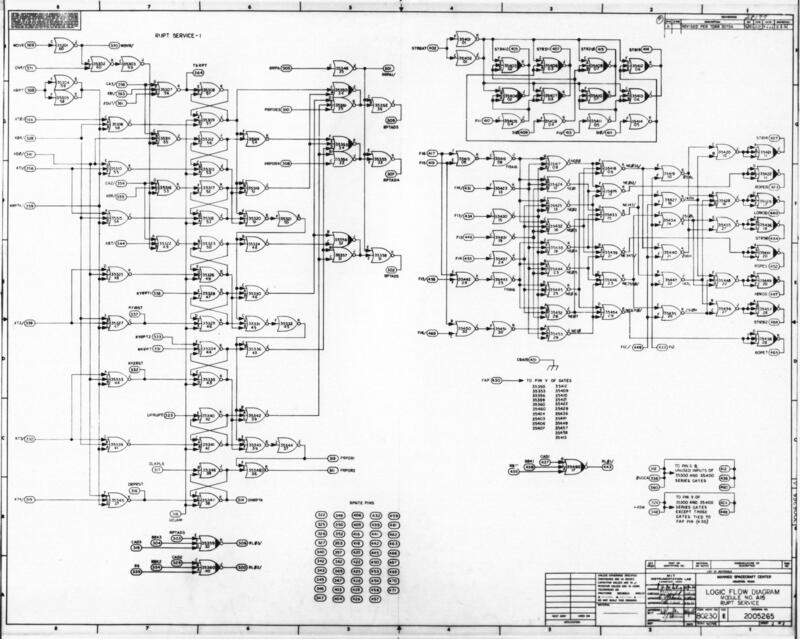 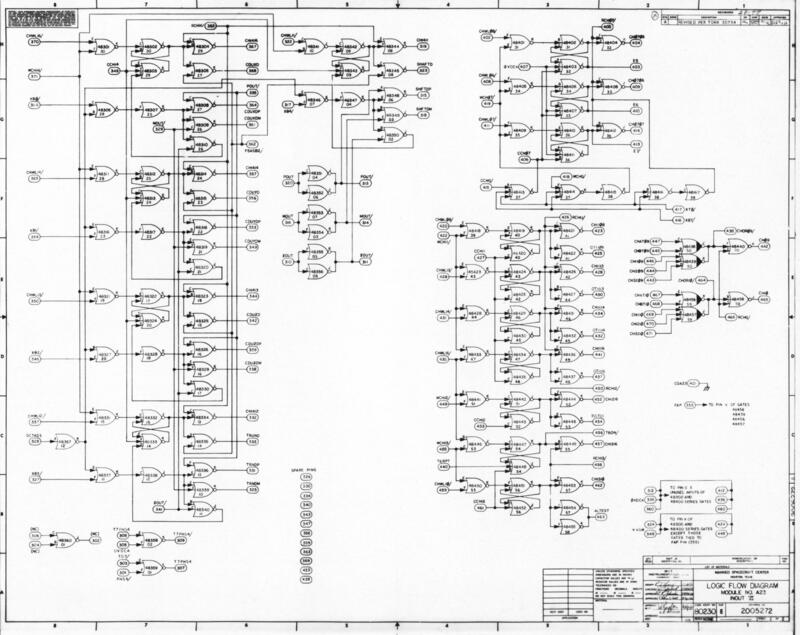 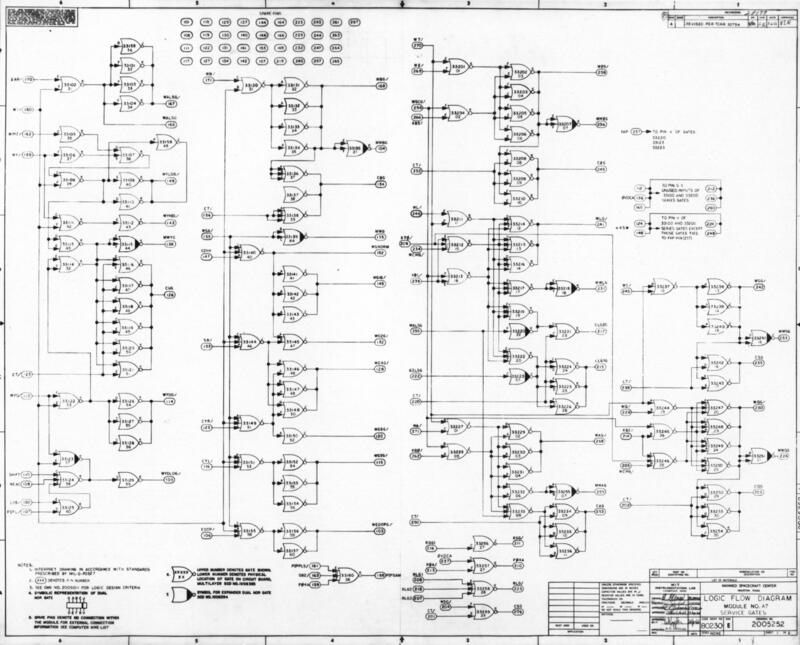 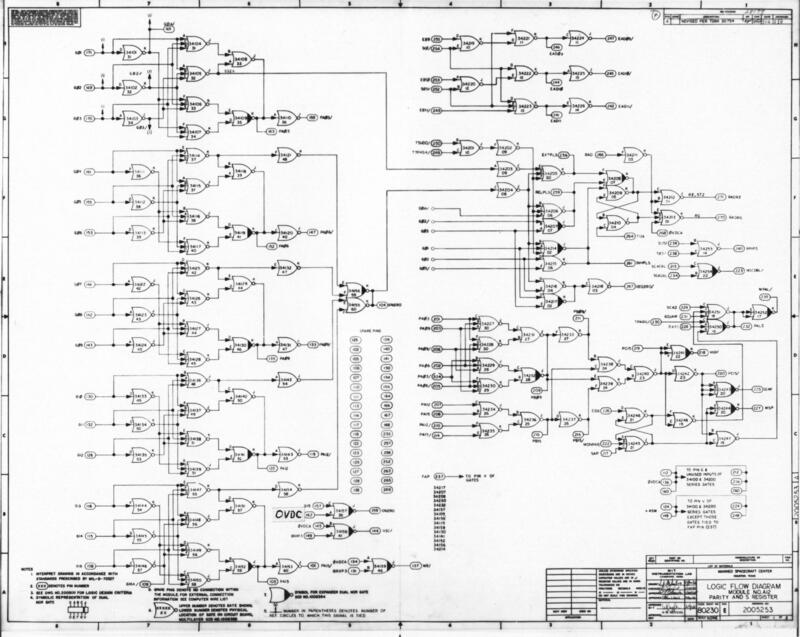 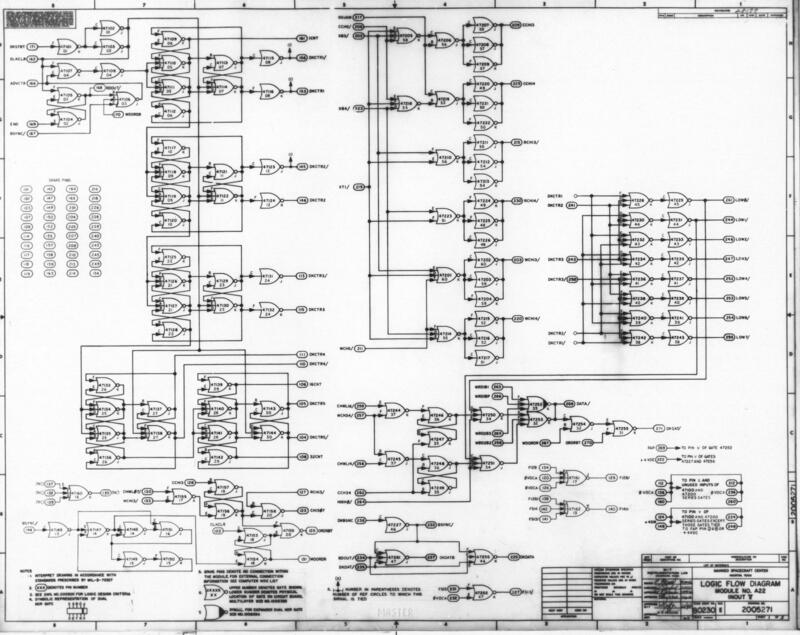 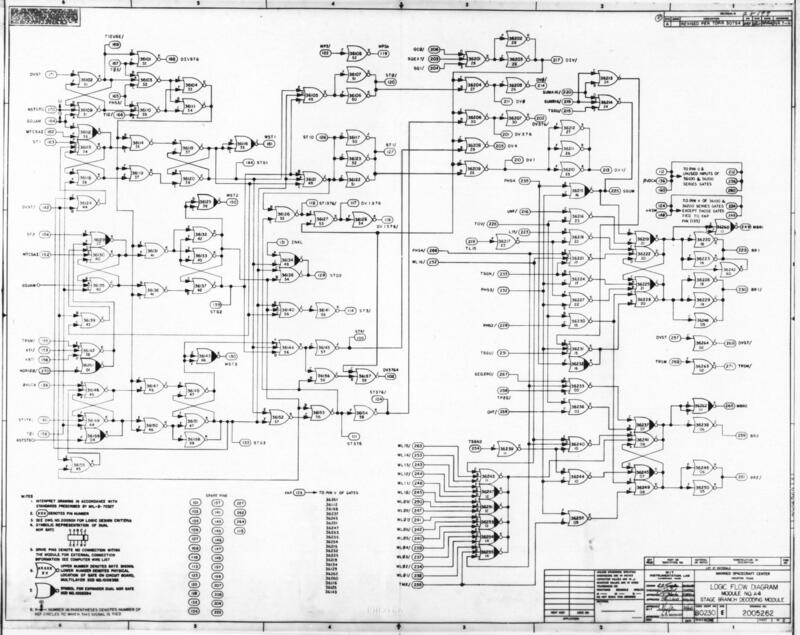 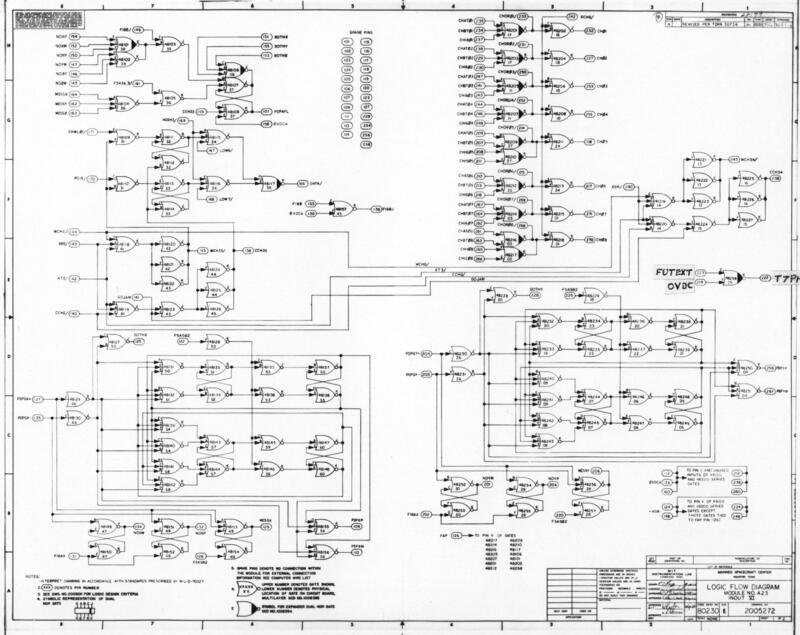 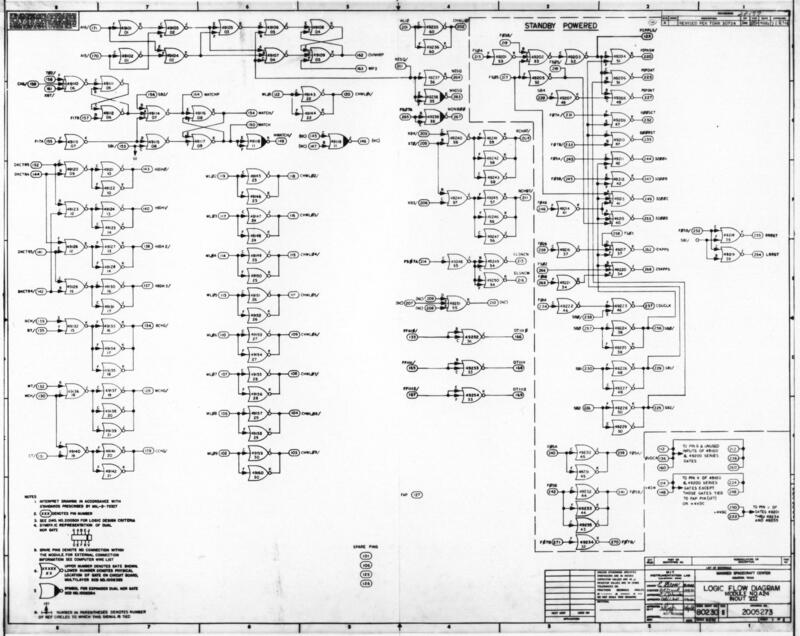 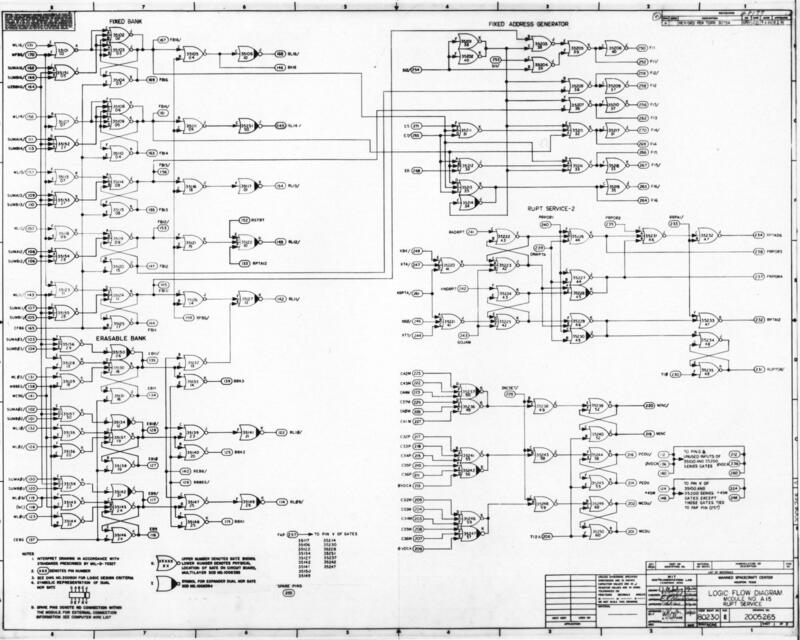 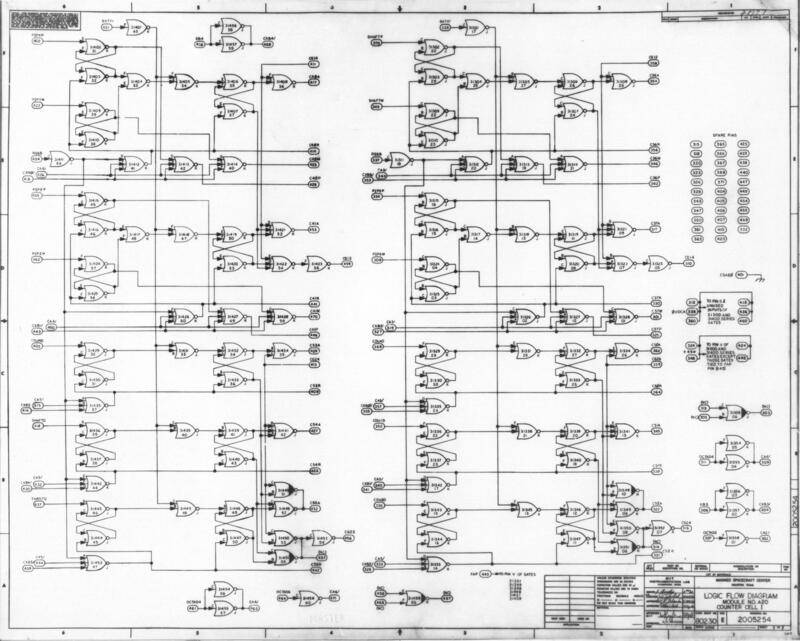 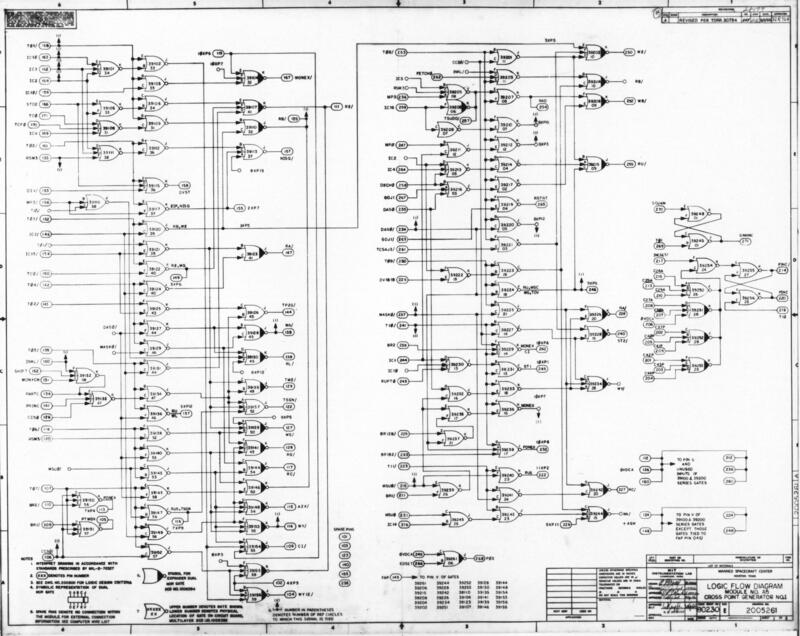 The purpose of 1006395, in turn, is to call out the schematic diagrams for the logic modules. 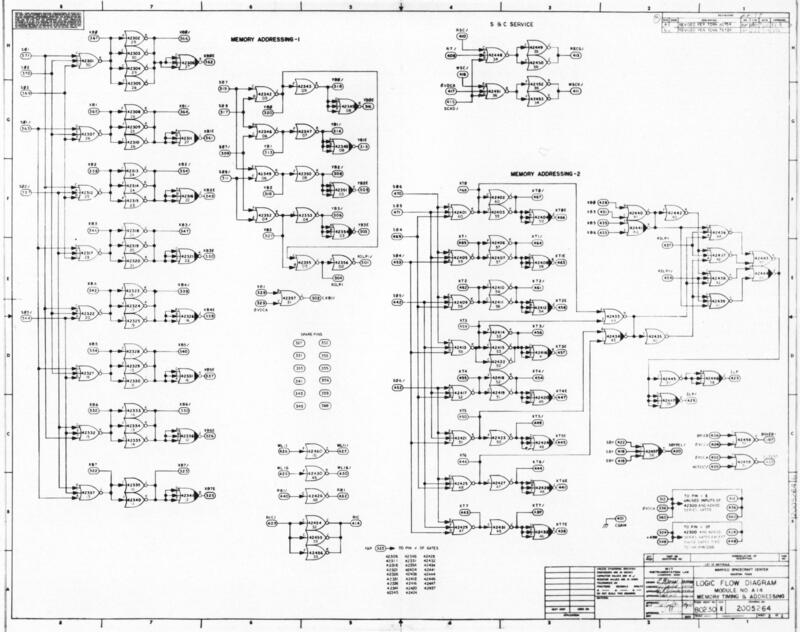 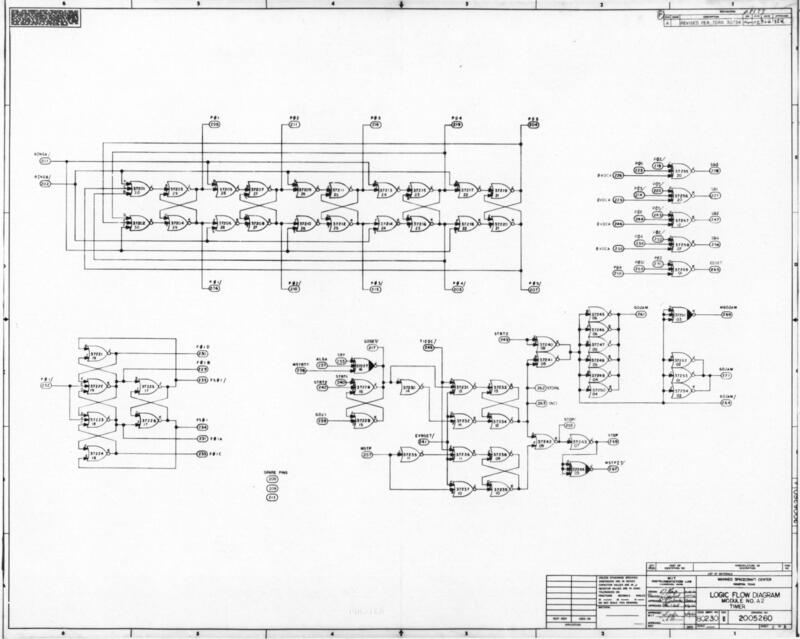 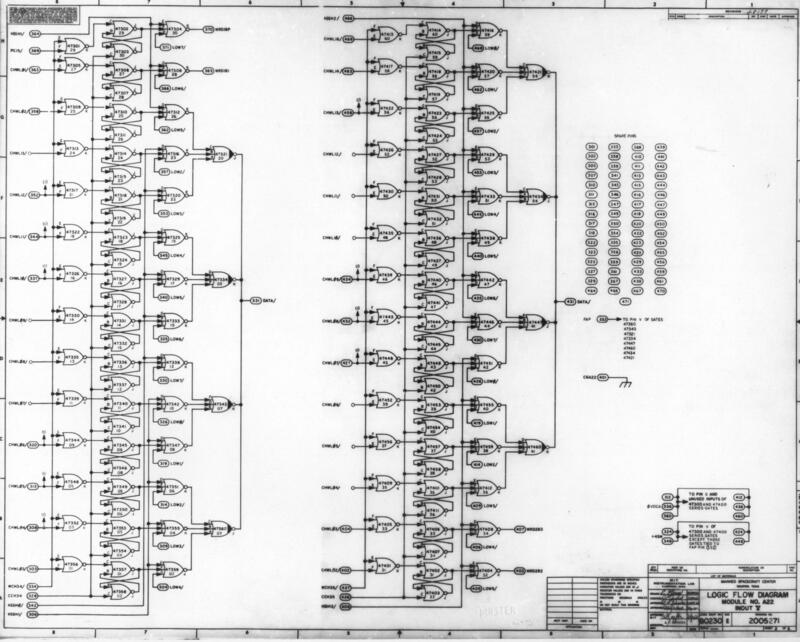 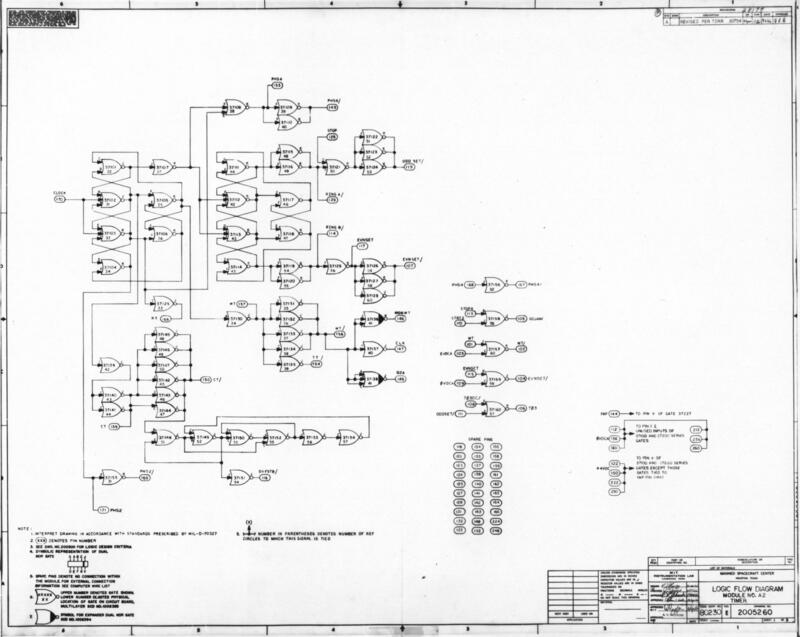 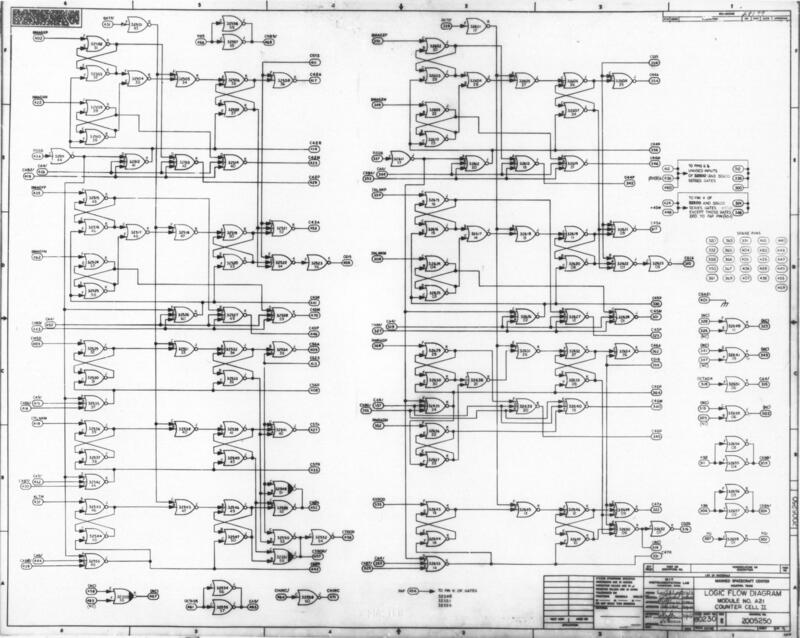 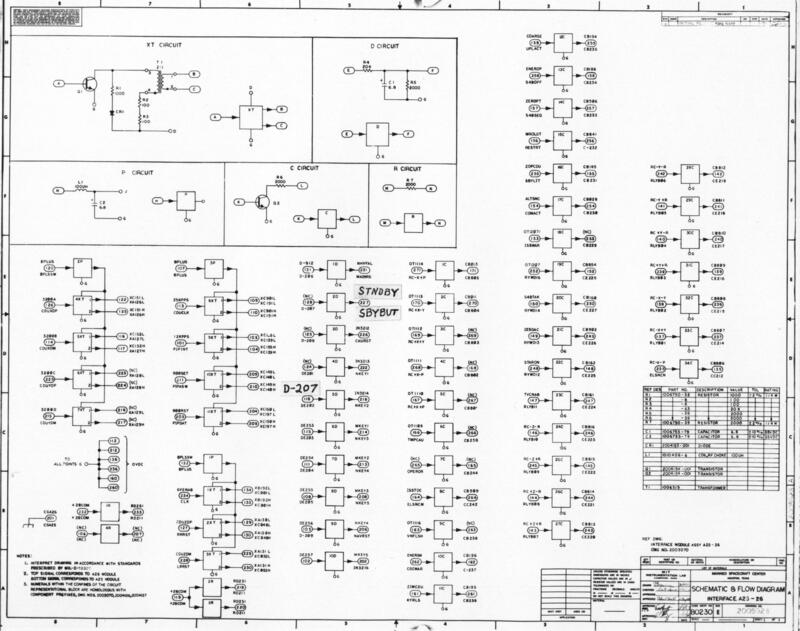 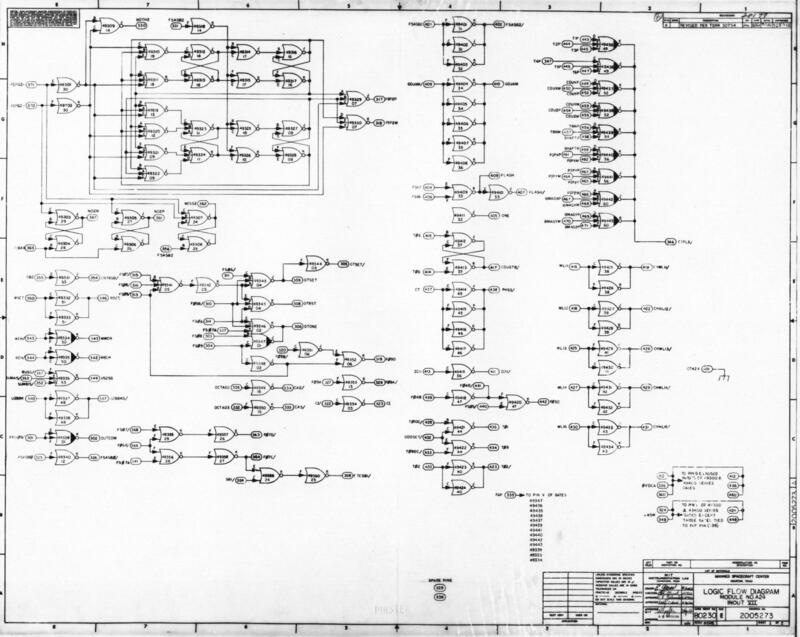 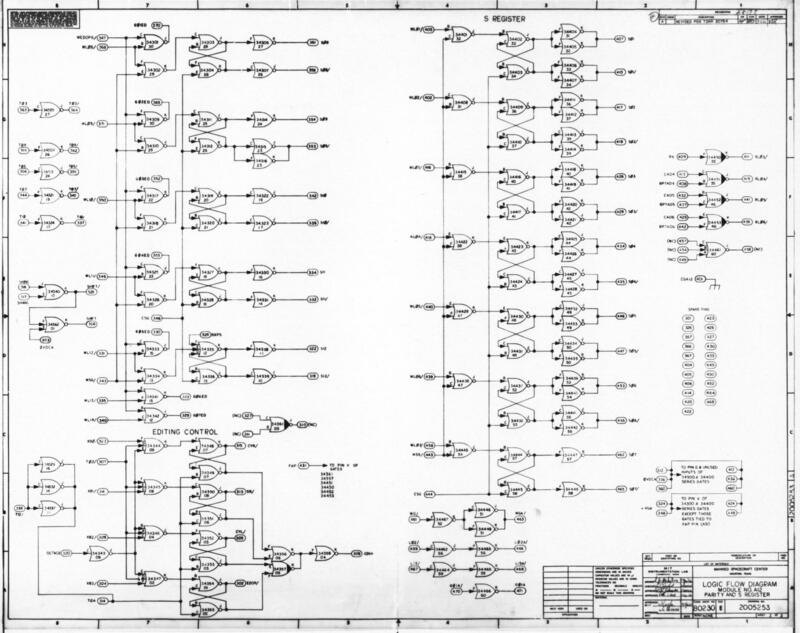 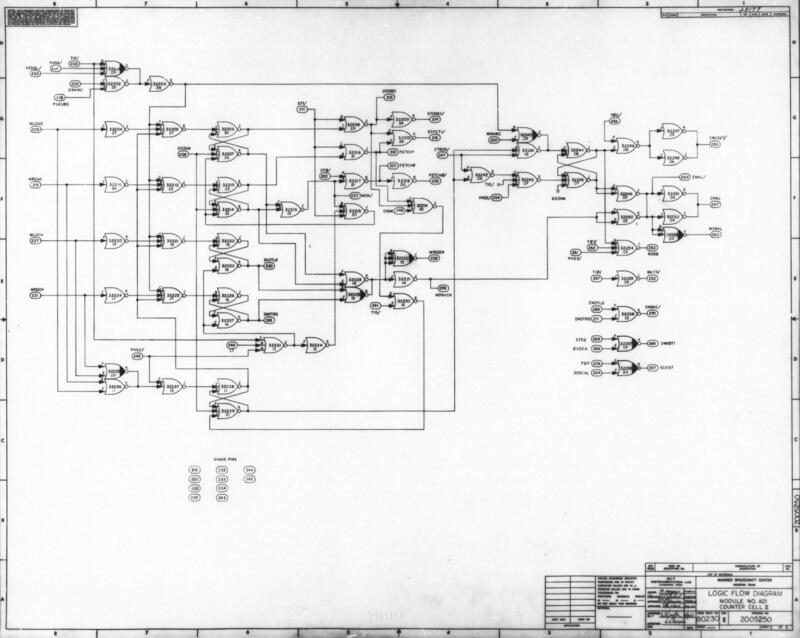 Our only available revision of 1006395 is rev "-", which indicates that each schematic diagram, in turn, is also rev "-". 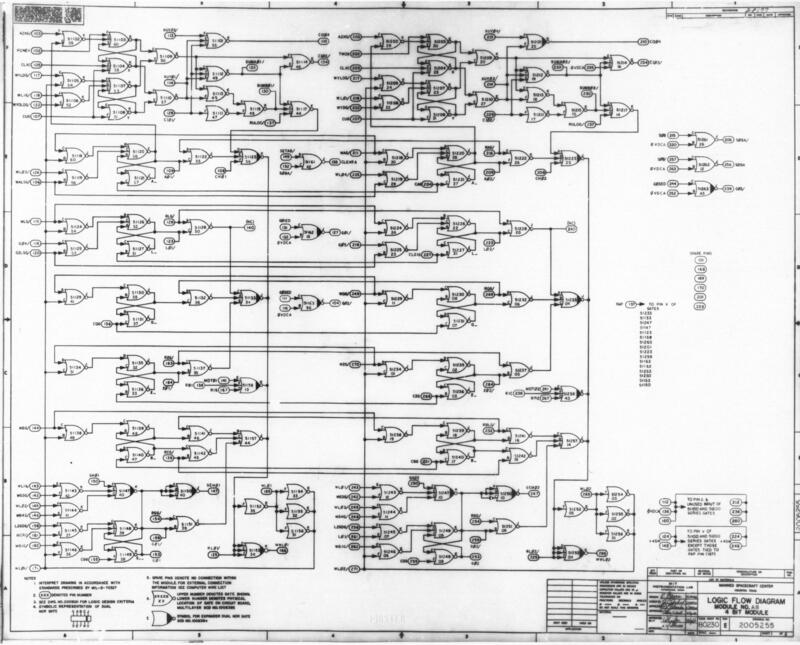 Since this seems unlikely, below we use the latest revisions of the schematics currently available to us.